On or near entrance to field with footpath leading up to H&W gallery, and at entrance to Huish Lane. I would like to second this suggestion. Very needed in this area. Down Gants mill lane and at one end of the woods. On footway by fish ponds past railway bridge used to go to Hauser Worth. Car park by Godminster Cheese footpath bad. Somewhere from Plox to Gaunts mill lane path to lovers walk bad with dogs mess. By Huish Lane (above the duckpond) or at the top of the lane where it joins St Catherines Hill/Tolbury. Definately need one by Gant’s Mill lane, ideally the end opposite Cole Road. Get loads of school children around this area. We have been asking for one for years, but keep getting refused because the council don’t want to empty any more. Agree at junction of Gant’s Mill Lane and Cole Road, there used to be one there but removed some years ago. Since its removal I have noticed an increase in dog waste in this area. I appreciate I live in Cornwall but I visit my daughter several times a year who lives in Lusty Bruton and as a visitor I still like to be a respectable dog owner. Definitely at either end of Dovecot walks (H&W – Jubilee Park). I also agree with all the above ideas. Top of Burrowfield beginning of cuckoo hill to save lazy residents throwing dog poo bags in the trees thank you. At the junction of Higher Backway and St Catherines Hill. This is en route for both the duck walk and Coombe Hill Woods. By the bin beside the primary school. The bin is always overflowing with people emptying into the main rubbish bin!! Definitely one needed to cover the duckpond/Tolbury Lane/top of Catherine’s Hill and also the Dovecote/allotment/H&W routes. The green on Cuckoo Hill – mainly because this is a residential public area where many children play, that many dog owners are abusing. 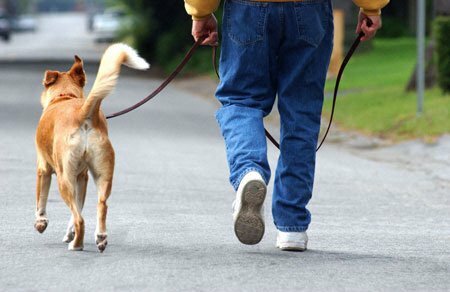 The health risks of children and dog poo are well known. I’m totally with you on that one, I do exercise my dog in this area as I live in Eastfield and although I always clear up any mess there is nowhere to dispose of it! I agree, Cuckoo hill has no bins at all and the amount of dogs that are walked on the green is considerable. There does seem to be a lot of bags left or excrement not picked up in this area, so a bin would definately help. Mill dam, Tolbury lame, higher Backway, St Catherine hill, may be where the 3 meet. End of Gants mill lame. Tolbury Lane where it goes off into the woods. Or at the top where it meets St Catherines Hill. 1. Cole Road/Gant’s Mill forked-junction. 3. Would also suggest signage to indicate direction/proximity of nearest bin, like Pay Stations in Car Parks. On junction of St. Catherine’s. Higher Backway, Tolbury Lane and Higher Tolbury. This would help with Primary school route, Mill Dam, Coombe woods and Higher Backway. There is definite problem all around this area. 4. A rubbish bin/dog poo bin in the High street! Near to the Cuckoo Hill estate green/Eastfield as many dog walkers in this area also in the next few years futher 80 properties will be built nearby.